There was a time when a university degree assured you a good job, good pay and a comfortable life. Not anymore. Today, the real crisis is the increasing number of university and college graduates who are underemployed – scraping by on low-paid, part-time jobs that don't require a degree. Although there are no official statistics in Canada, it's estimated that after graduating, one in three 25 to 29 year olds with a college or university degree ends up in a low-skilled job. And to make things worse, 60% graduate with an average debt of $27,000. Mired in debt, and working in dead end jobs, their launch into adulthood is being curtailed. Some call them "the lost generation". But, it's not only young people who may be lost. If the next generation fails to gain a toehold into the economy, who'll buy boomers' houses? Who'll pay for social programs? 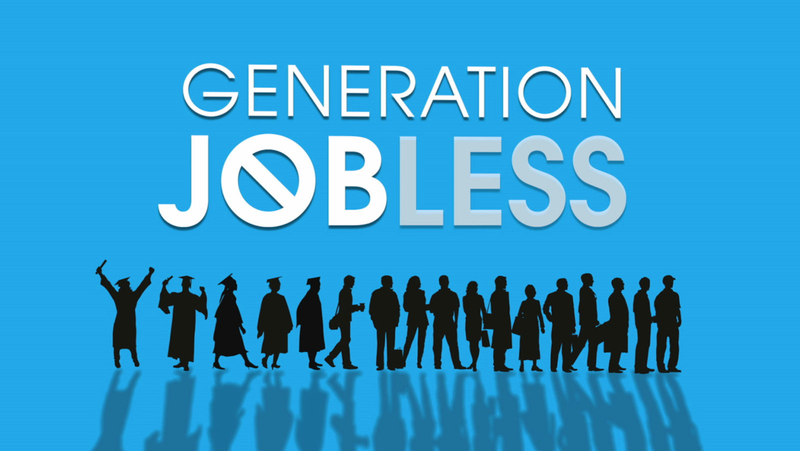 Youth unemployment and underemployment is a ticking time bomb with serious consequences for everyone.